The objects of the Club are to provide facilities, promote the game of Association Football, to arrange matches and social activities for its members, and community participation in the same. 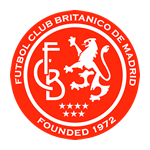 All players, team managers, assistants and coaches and the management committee are required to abide by the following rules and regulations of Futbol Club Británico de Madrid. These rules govern: the payment by players of match and training fees; the attendance and behaviour of players, managers, assistants and coaches at matches and training; the high standard of conduct expected by everyone connected with the Club; management committee rules. Membership of the club is open to anyone aged 18 years of age or over. The members of the Club from time to time shall be those persons listed in the register of members (the “Membership Register”) which shall be maintained by the Management Committee. In the event of a member’s resignation or expulsion, his or her name shall be removed from the Membership Register. (a) A member shall cease to be a member of the Club if, and from the date of which, he/she gives notice to the Management Committee of his / her resignation. A member whose annual membership fee or further subscription is more than two (2) months in arrears shall be deemed to have resigned. (b) The Management Committee shall have the power to expel a member when, in its opinion, it would not be in the interests of the club for them to remain a member. An appeal against such a decision may be made to the Management Committee in accordance with the Complaints Procedure in force from time to time. All players are responsible for paying, without demand, their fees. Monthly payments are due in advance on 1st of each month. Payment can be made by bank transfer, PayPal or in cash to the Treasurer, Chairman or Manager. Pay as you train payments are due at the start of each session. If any part of the fees remains unpaid for more than 2 weeks (unless by prior arrangement with the Treasurer or Chairman), the Management Committee will give immediate consideration to suspending a player from all activities. Always play to the best of your ability and within the spirit and laws of the game. Avoid all violent and dangerous play. Never use inappropriate, foul or abusive language whether it is directed at match officials; opposition players or management; your team-mates or manager, assistant and coach; spectators; no-one in particular. Always accept the referee’s/officials’ decisions without any adverse comment and without showing any form of dissent. Treat everyone with respect at all times including: officials; your own team-mates and manager, assistant and coach; the opposition players and management; and supporters. Always abide by the instructions of your team manager, assistant and coach provided they do not contradict the spirit of this code. Abide by the team playing policy. Inform your team manager as far as possible in advance that you are unavailable for selection for a match. Arrive at match venues no later than 30 minutes before the start (unless by arrangement with your team manager). Have the appropriate equipment to play the match. All players are required to take the kit home to wash and dry it twice per season. If you are asked to take the kit, you must take it. It is your responsibility to take the utmost care when you wash and dry the kit to ensure that it remains in a usable condition. In the event of any damage to the kit being discovered or occurring, you must advise a member of the committee. Attend all training sessions unless you have advised your team manager in advance that you are unable to do so. Turn up appropriately dressed and in good time for the start of a training session. Pay attention to the coach/manager and never talk whilst they are giving instructions. Be prepared to learn and to concentrate fully during training. Treat your team-mates, manager, assistant manager and coach with respect. Any player who persistently breaches any of the above rules shall be liable to suspension from matches by the Management Committee. Team managers shall be appointed each season by the Management Committee of Futbol Club Británico de Madrid. They are bound by the Club Rules, Regulations and codes of conduct. In the event that the manager leaves the club during the season, a replacement will be appointed by the Committee at an Extraordinary General Meeting. Agree a team playing policy with the Club at the start of each season. Always have a contact number with you at a match or training event for all your players. Inform all players of their selection or non-selection for a match. As much notice as is practicable should be given. Inform players of the precise address where a match or training event is taking place OR a meeting place and what time the match starts and finishes. Ensure the well-being and safety of every player above all other considerations. Respect the rights, dignity, worth and opinions of all players as well as officials and the opposition. Develop an appropriate working relationship with each player based on mutual trust and respect. At the outset clarify with each player exactly what is expected of them and also what they are entitled to expect from you. Ensure that the activities you direct or advocate are appropriate for the age, maturity, experience and ability of the player. Always display high standards of behaviour, appearance, punctuality and instruction. Be a positive role model for players. By your own example encourage players and spectators to at all times accept match officials’ decisions without comment and without showing any form of dissent. Always promote the positive aspects of football and never condone violations of the laws or spirit of the game; any form of violent or dangerous play; any form of gamesmanship or time wasting. Make every effort to promote harmonious relations with opposition players, management and spectators. Help the players to recognise good performance and not just good results. Co-operate fully with other people/specialists in the best interests of the player (e.g. Club officials, other coaches, doctors, physiotherapists etc.). Advise the Club if any approach is made to you by another club who wish to offer one of your players a trial or transfer. Advise the Chairman within 24 hours of any sending off or caution incurred by any of your players. Respond promptly to all requests and instructions from the Club Officers or Management Committee. Use inappropriate, foul or abusive language, or tolerate such language from players or spectators. Discriminate against any player or spectator (including from opposition teams) by reason of gender, sexual orientation, racial origin, nationality, religious beliefs, ability, disability or economic status. Permit the harassment or bullying of a player by any assistant, coach, or fellow player. Show unacceptable favouritism to any individual player. Punish or belittle a player for losing a match or making mistakes. Team managers, assistants and coaches who fail to abide by this code of conduct may be suspended from their position and instructed to appear before the Management Committee who shall have the ultimate sanction to remove that party from their post and permanently exclude them from the club. The Club fully expects all players to set and maintain a high level of good conduct and behaviour, both on and off the field of play. The Club will run its own internal disciplinary procedure, in addition to those set by relevant regional governing bodies. On receipt of notification of any caution or sending off either reported by the manager to the secretary or by the relevant county association, the Management Committee will discuss any caution or sending off at the earliest opportunity, and will then decide whether or not to implement the Club’s Internal Disciplinary Procedure. They will take into account the referees report, the version of the events reported by the player and manager, and also the manager’s desired response regarding a formal appeal. If the manager or player, wish to appeal against a caution or sending off they must notify the Club Secretary within 7 days of the offence taking place. Then, provided the Management Committee support their request, the Club Secretary will lodge an appeal on behalf of the player. Any resulting personal hearing will take place in front of a Regional Disciplinary Committee. 4th and subsequent cautions – player will be required to appear before the Management Committee, who shall decide any further appropriate punishment. 2nd Sending off – A further fine, the amount of which will be decided by the Management Committee. The Management Committee will discuss any caution or sending off at the earliest opportunity, and will then decide whether or not to implement the Club’s Internal Disciplinary Procedure, taking into account the player’s intention regarding formal appeal. The player and manager will be asked to offer their version of the events. Failure by any manager, assistant or coach to respond within 7 days to a request or an instruction of the Committee will leave that party liable to automatic suspension by the club until such time as the instruction or request is complied with or the Committee has met with that party to resolve the issue. The Committee reserves the right to suspend any player, manager, assistant or coaches who fail to comply with the instructions of the committee in so far as they relate to a breach of Club rules, regulations or codes of conduct, or the League or National Governing Body rules and guidelines. The Committee reserves the ultimate sanction of permanently suspending any player or manager, assistant or coach who consistently breaches the club’s rules, regulations and codes of conduct. Chairman, Treasurer, Manager and Committee members. Committee Members shall hold office from the date of appointment until the next AGM unless otherwise resolved at an Extraordinary General Meeting (“EGM”). One person can hold a maximum of two positions. The Management Committee shall be responsible for the management of all the affairs of the Club. Decisions of the Management Committee shall be made by a simple majority of those attending the Management Committee meeting. Members of the Management Committee cannot be voted off the committee, unless in breach of the Club Codes of Conduct. Persons wishing to join the Management Committee must first ask the permission of the Chairman. If he/she is in acceptance, then the committee must vote at the next meeting on whether to allow the new person to join. Any member of the Management Committee may call a meeting of the Management Committee by giving not less than seven days’ notice to all members of the Management Committee. The Management Committee shall hold not less than three (3) meetings per year. The Management Committee will meet quarterly to discuss club matters, etc. Minutes are to be taken at every meeting. Minutes are to be retained by the Club and forwarded to members if at any time they may request them. A meeting cannot take place if either the Chairman or Manager are not in attendance, or less than 50 percent of Committee members of the Management Committee are present. In the event of the Chairman missing the meeting, the Manager must take the minutes and issue a copy to the Chairman within 7 days. Every member of the Management Committee is required to vote at meetings, if there is a tie in voting, and then the Chairman has the casting vote. Any member of the Management Committee wishing to resign must do so in writing to the Chairman. If the Chairman wishes to resign he/she must arrange a special meeting of the Management Committee at which another member of the Committee will be elected as Chairman. Each Committee member will be presented with a copy. The Accounts will be made available for inspection by any member if so required. (b) Nominations for election of members as Club Officers or as members of the Management Committee shall be made in writing by the proposer and seconder, both of whom must be existing members of the Club, to the Club Chairman not less than 21 days before the AGM. Notice of any resolution to be proposed at the AGM shall be given in writing to the Club Chairman not less than 21 days before the Meeting. (c) An EGM may be called at any time by the Management Committee and shall be called within 21 days of the receipt by the Club Chairman of a requisition in writing, signed by not less than three members, stating the purposes for which the Meeting is required and the resolutions proposed. Business at an EGM may be any business that may be transacted at an AGM. (d) The Chairman shall send to each member at their last known email address written notice of the date of a General Meeting (whether an AGM or an EGM) together with the resolutions to be proposed at least 14 days before the meeting.